Press and hold the on/off button for about 7 seconds (the first button on right) until tonal sequence plays, then release. If music doesn’t start playing right away, press the power button again for 1-2 seconds. 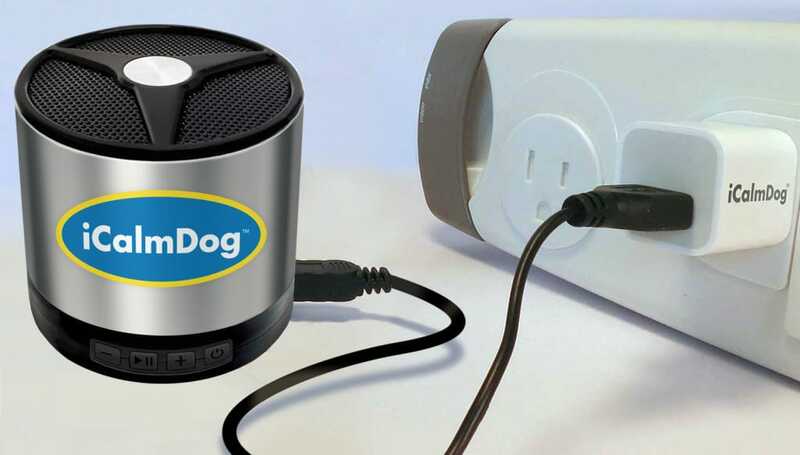 Note: If you have a highly sound sensitive dog, we recommend you turn on iCalmDog 2.0 in a separate room. While all the dogs we tested on were fine, the chordal sequence at turn on could potentially disturb an extremely sound sensitive canine. 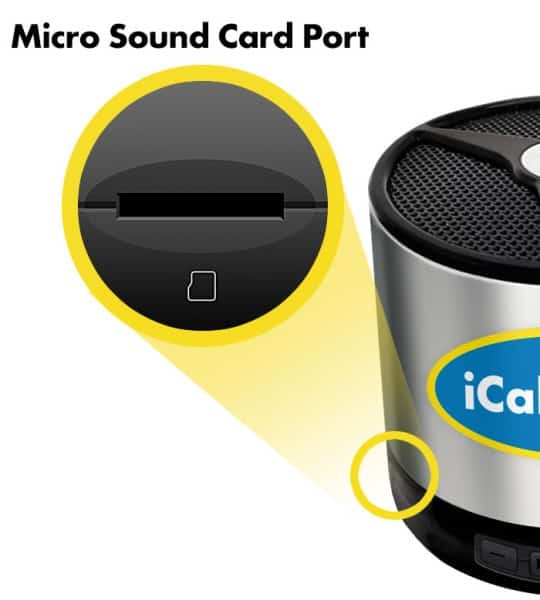 The Sound Card port is located on the bottom left of your iCalmDog Player. Cards can be inserted and removed as you like. 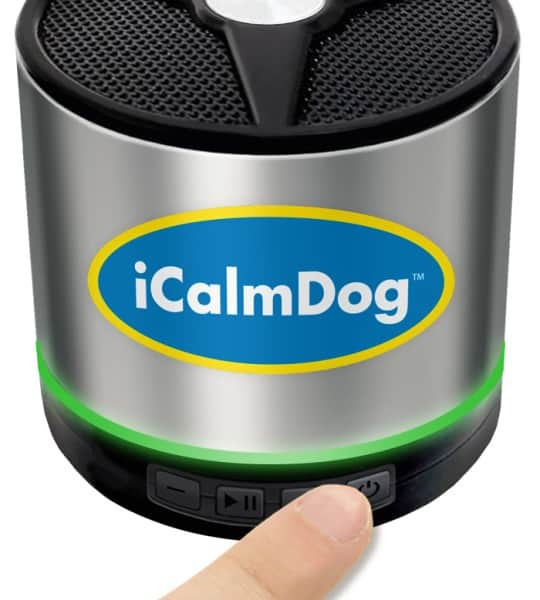 All iCalmDogs come with an already inserted CC (Calm Your Canine) Micro sound card. 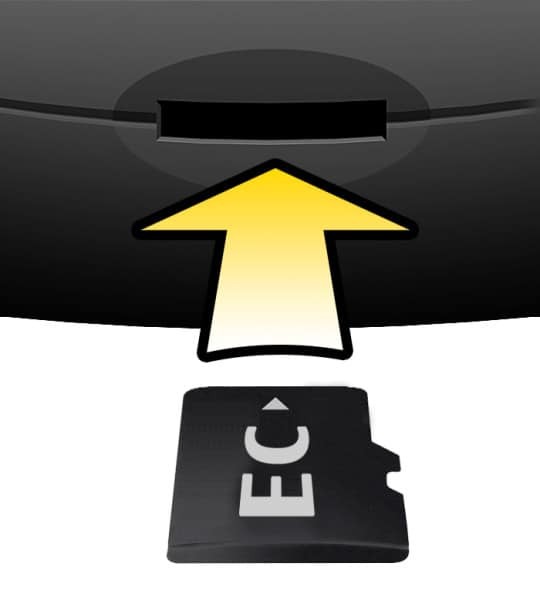 Place the micro sound card (lettered side up) into the sound card port and push in gently until it clicks. Your new sound card is ready to be played. Push in gently and release. The card should now easily be removed. Note: Be sure to put your card in a safe place. To play a sound card, press the power button once lightly after you hear an audio tone. This switches the play mode to the inserted sound card. When the light switches to blinking green, you should hear music. 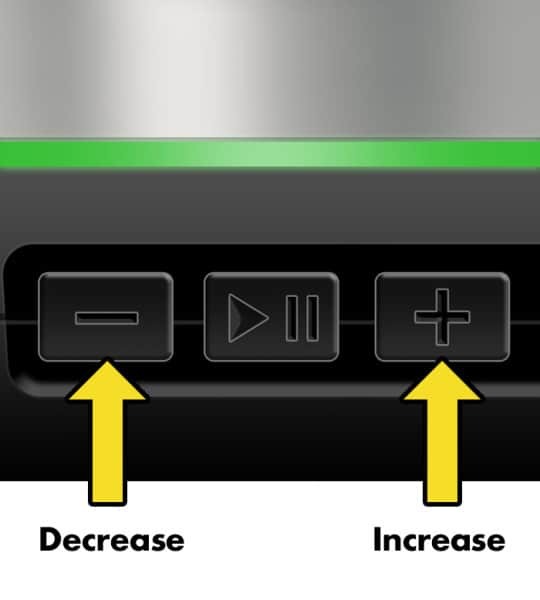 Increase by holding down 2nd button to right (+); decrease by holding down the left-side button (–). Note: DO NOT PLAY AT MAXIMUM VOLUME. It is not good for your dog or the longevity of the speaker. Play at a gentle volume. Tap lightly on the volume buttons. Bluetooth is a wireless technology for exchanging data (like music) over short distances. 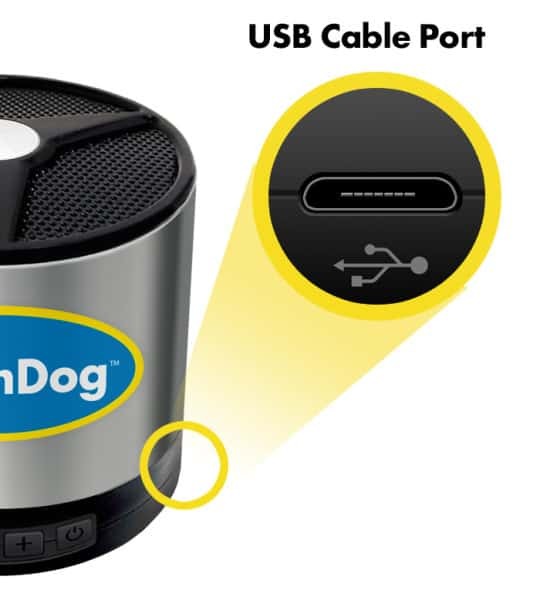 iCalmDog 2.0 is equipped with Bluetooth, allowing you to play other music from your computer or smart phone through the iCalmDog 2.0 speakers. If all else fails, turn off 2.0 and begin again. Make sure you only have one device open at a time. Additionally, the unit will give warning beeps when the battery is running low. 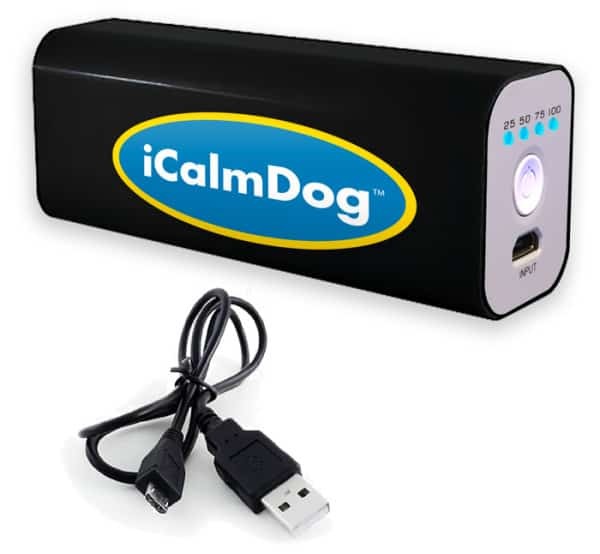 For that reason we recommend iCalmDog 2.0 Battery Boost for extra sound sensitive dogs. It has 20 to 24 hours of playtime with more control of avoiding the warning beeps altogether. Charging iCalmDog 2.0 takes about 2-3 hours. To receive 20 to 24 hours of playtime with battery charger, it is essential that you charge iCalmDog 2.0 and the battery charger separately. 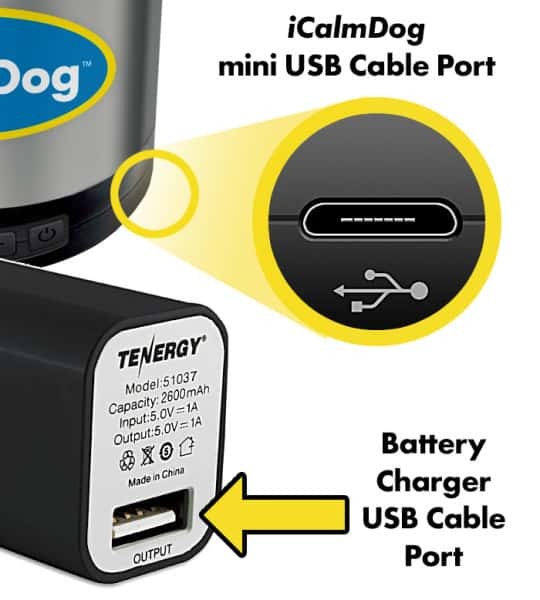 The iCalmDog 2.0 Battery Charger arrives pre-charged and will power a depleted or fully-charged iCalmDog 2.0 for 20-24 hours. 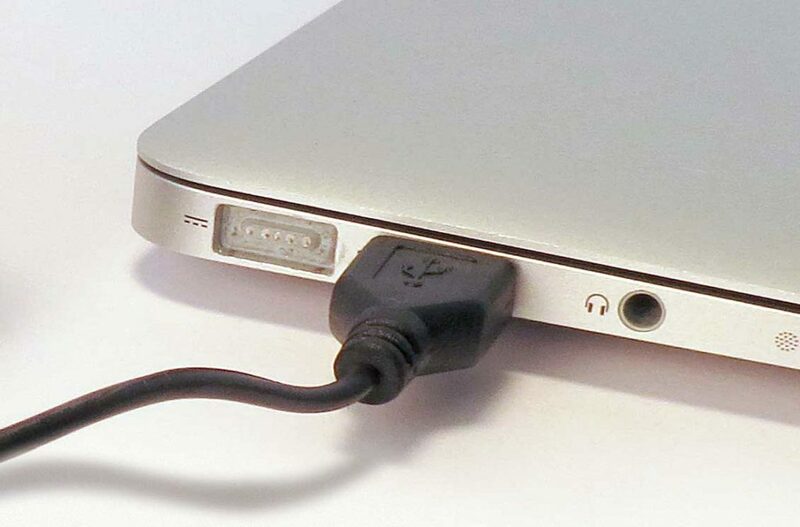 Attach the smaller connector of the USB power cable to the iCalmDog 2.0 mini USB cable port. Attached the larger connector of the power cable to the USB cable port on the back of the Battery Charger. To confirm charge, push the button on on the front of the Battery Charger. Four blue LED indicators will light, indicating a full charge. 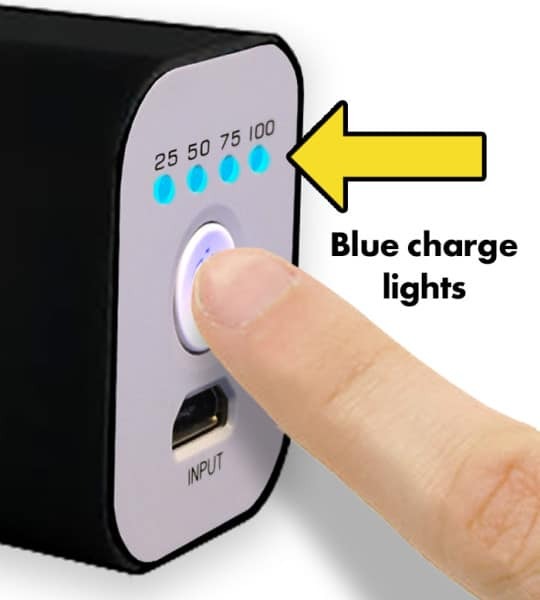 If no LED indicators light up, or all blue lights blink rapidly, you need to recharge the Battery Charger (see below). Attach the small connector end of the power cable to front of the Battery Charger and attach the other end of the cable into the USB Adapter Plug or your computer’s USB port. Note: If you don’t have a USB Power Adapter, you can purchase one on our accessories page. Battery charging time is 2-4 hours. To confirm battery is fully charged, press button and all four LED indicators will light. To receive 20 to 24 hours of playtime with battery charger, it is essential that you charge iCalmDog 2.0 and the battery charger separately. 1. Use the included USB cable to charge. 2. Insert the smaller connector of the USB cable into the mini USB port on the right side of iCalmDog. 3. 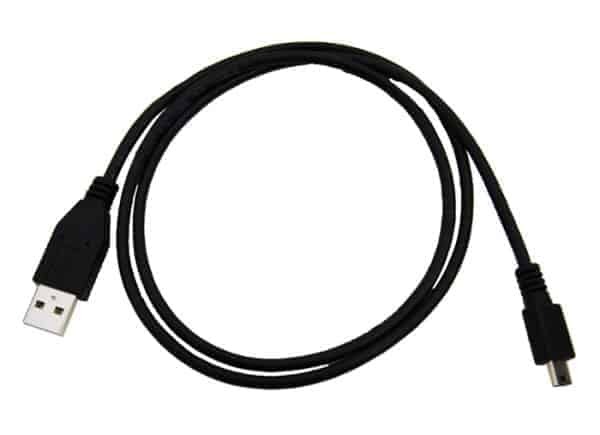 Then insert the larger connector into a standard USB port on your computer. Please Note: iCalmDog 2.0 will give warning beeps when the battery is running low. For that reason we recommend iCalmDog 2.0 Battery Boost for extra sound sensitive dogs. It has 20 to 24 hours of playtime with more control of avoiding the warning beeps altogether. 2. Insert the smaller connector of the USB cable into the mini USB port on the right side of iCalmDog 2.0. 3. 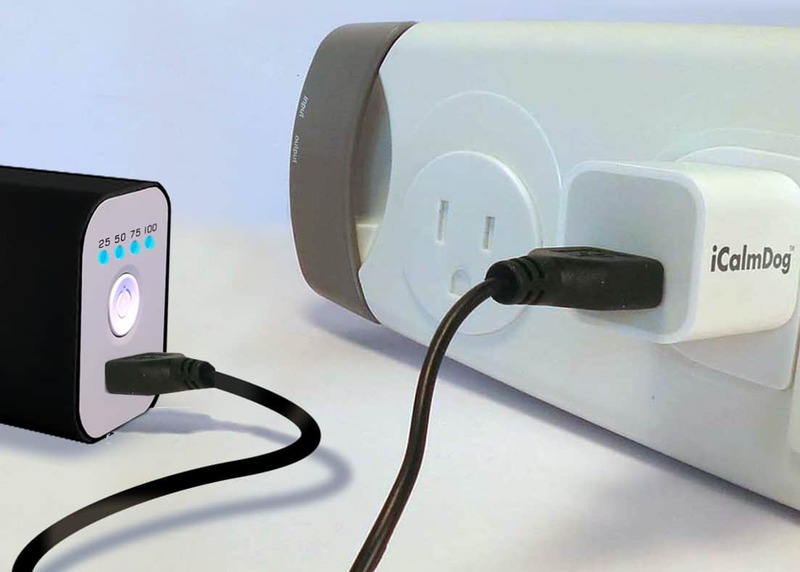 Plug into a USB Power Adapter that comes with smart phones, iCalmDog 2.0 packages. Battery charging time is 2-3 hours.